Vapestore have a number of high street stores in convenient locations around the UK. Click on a location to find your nearest store and get more information about how to get there. We are currently expanding our network and are seeking entrepreneurial individuals with a suitable background in retail or business. If you are considering starting out on your own and selling vaping products and e liquids, then VapeStore can help. This is a great opportunity for the right company or individual to establish themselves in the hugely successful vaping industry. 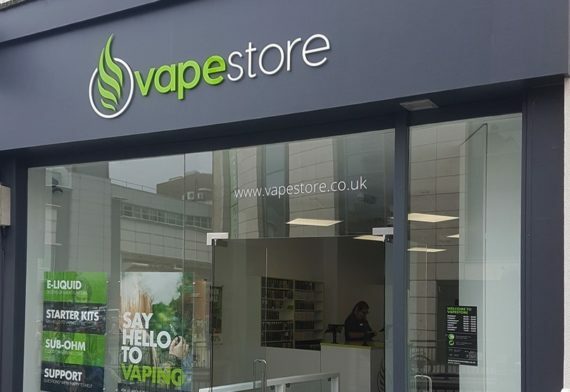 VapeStore is owned and operated by one of the most successful vaping companies in the UK, the Vapouriz Group; a multi-million-pound turnover operation with over 60 employees. We have several company-owned stores, and a number of franchises, all operating under the VapeStore banner. The benefits of opening a Vapestore vaping shop are clear. Support from start to finish on every aspect, great choice of products from some of the worlds' leading vape brands, and store location selection, which can be the difference between a £4,000 a week shop and a £20,000 a week shop.